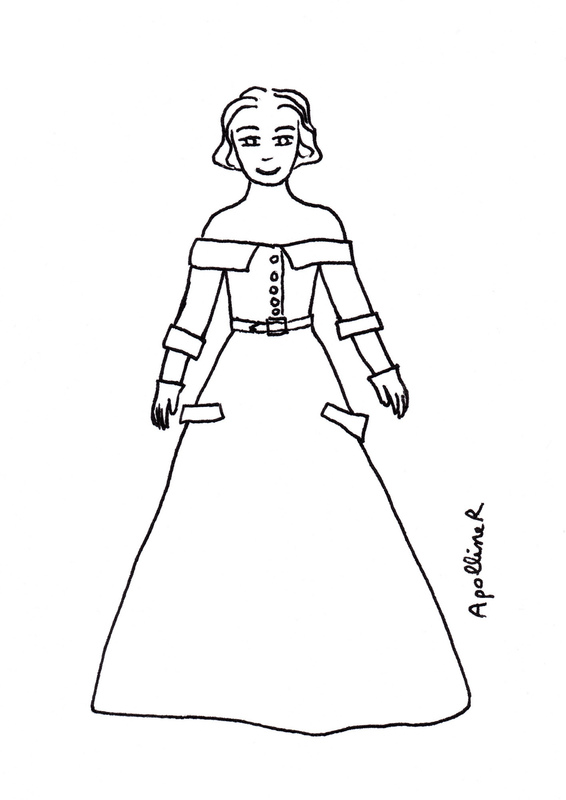 I have drawn several fifties outfits at the 50s Fashion exhibition in palais Galliera in Paris. 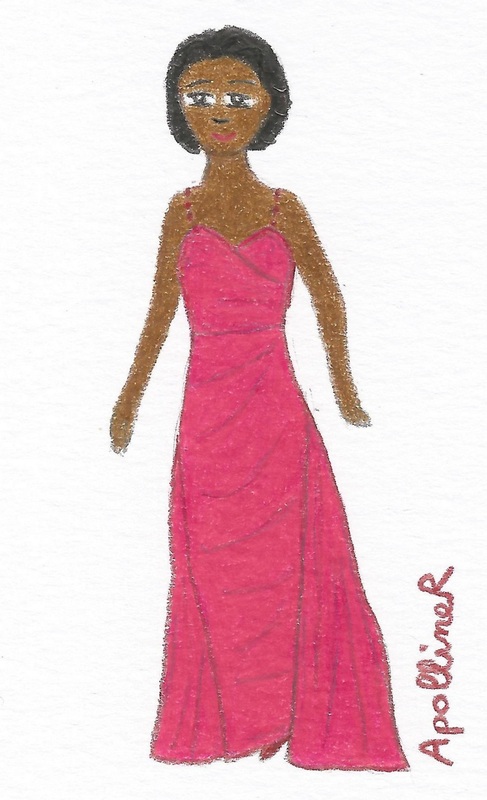 This article gathers my drawings of day outfits. 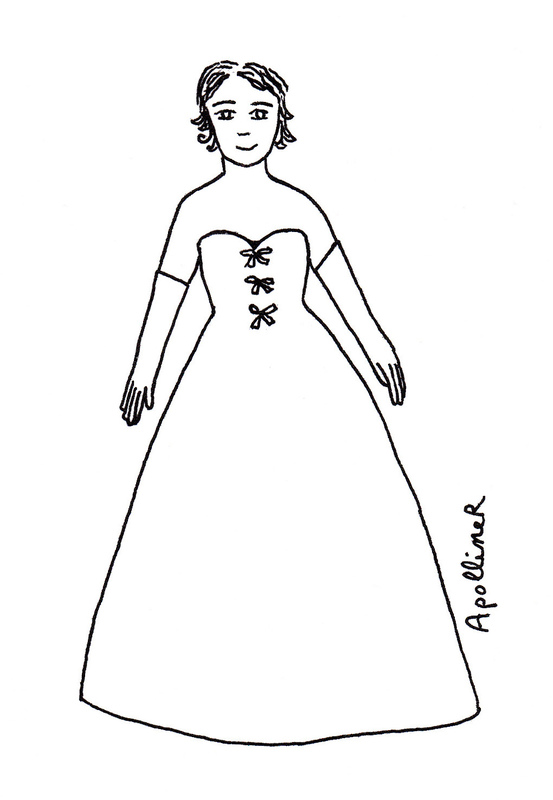 There will be an article with evening dresses illustrations later. In the fifties, cinched waist and calf-length were fashionable. This ‘New Look’ began with Christian Dior first fashion show in 1947. At the show, models were wearing full skirts but at that time women also used to wear pencil skirts such as the ones I have drawn. 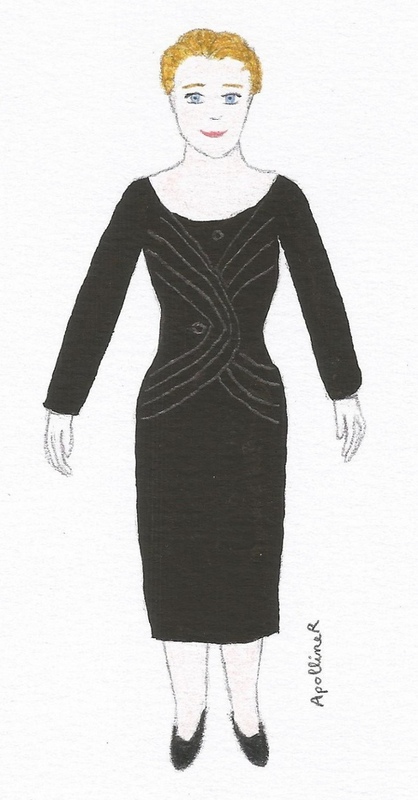 On the first drawing, a woman is wearing a 1950 black day suit by Balenciaga with a calf-length pencil skirt. The jacket has a small waist and round hips. 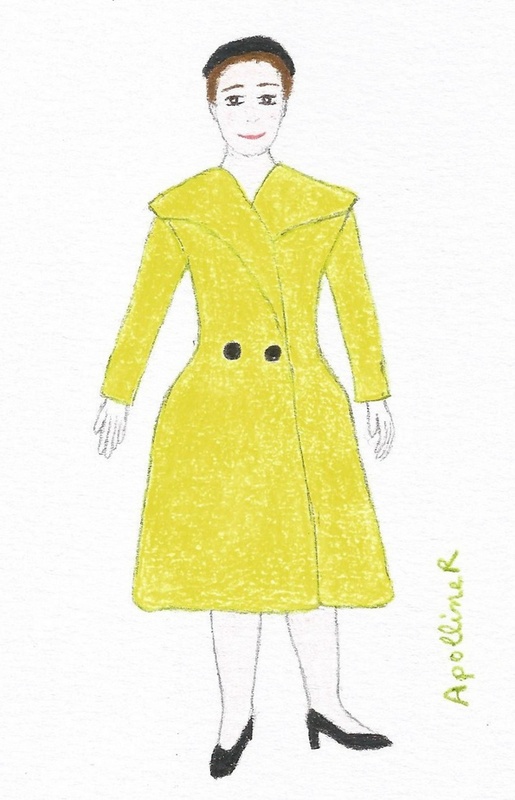 This lime green coat by Madeleine Vramant widens from waist like a full skirt. 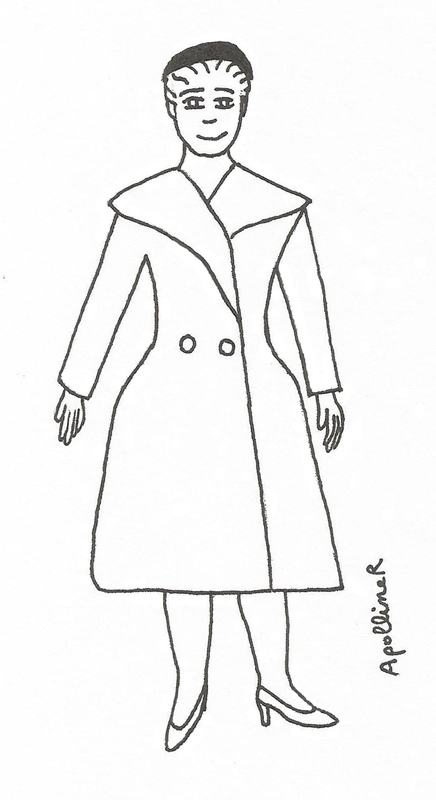 I have also drawn a coloring picture of the New Look coat by Madeleine Vramant. Click on the picture to enlarge and print it. I liked the exhibition. The Haute Couture outfits are magnificent, in good condition and classified by theme: day outfits, beach outfits, evening wear, cocktail dresses… Some period videos show women wearing fifties outfits and there are drawings by designers or Fashion illustrators such as René Gruau. It’s good to know that the exhibition is not big. I recommend it to you if you are interested in Fashion or History. 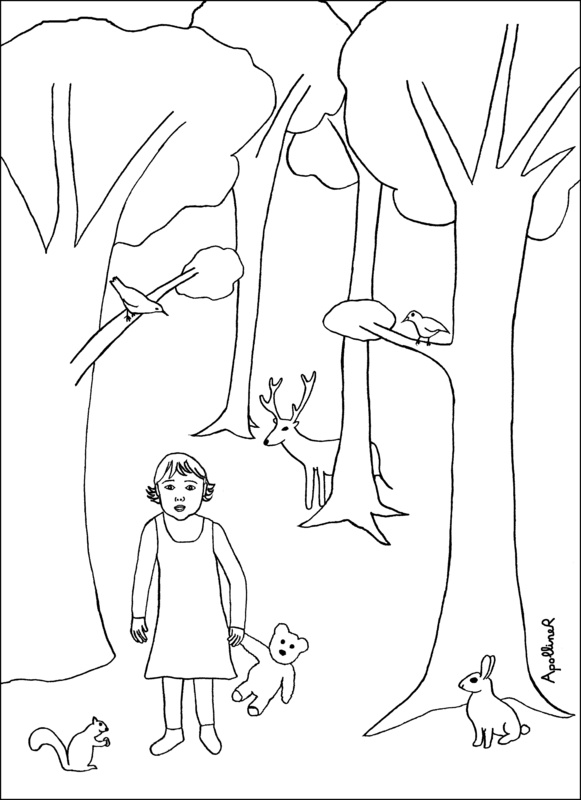 Here is coloring picture showing a little girl who explores the forest and meets animals in the woods. Click on the picture to enlarge it and to be able to print it.